here’s a short video showing puredata running on a ARM v7 / Cortex-A9 tablet (Zenithink c71 aka uPad: 1ghz, 512mb ram). i got this tablet for 144$ CAD. it is possible to connect an arduino to it (via USB) so anyone can “extend it” with sensors and such. there’s also a bluetooth / wifi and a 5 points touchscreen. right now alsa is not working (start pd with -oss) and the video driver (mali) is not accelerated. thanks to xllamas for sharing the information and also the http://makeplaylive.com/ for the initial work. i am currently working on a new prototype of “la guitar à crayon” called “string pad”. 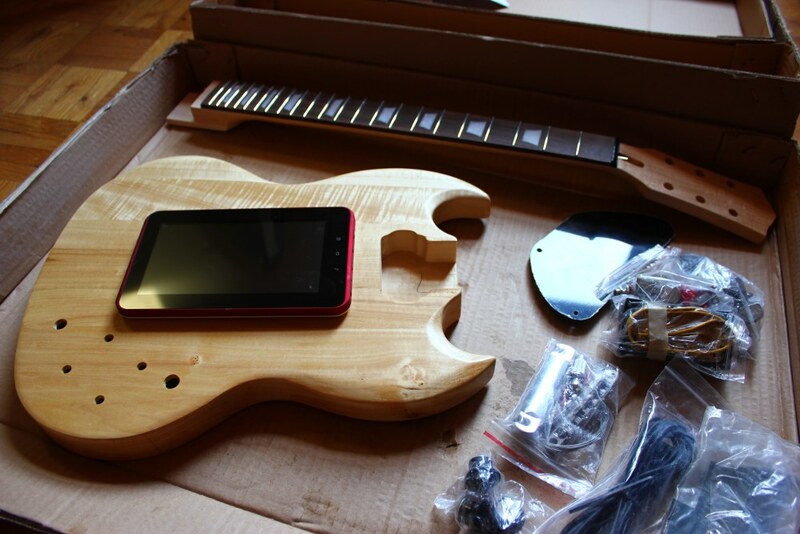 bought a guitar kit for 160$. all set to start working on this project.